The smart home revolution has led to some mind-boggling advances to our daily routine. From brewing a world-class cup of coffee from your smart phone to streaming your favorite Spotify playlist through a lightbulb in the kitchen, it seems there’s no end to the daily life hacks now available to us. However, it’s not just humans that are benefiting from this otherworldly technology. It should be no great mystery to the devoted pet parents out there that in 2014 Americans spent $19.7 billion on their beloved furry children. This means most owners want the very best for their pets and are willing to spend the necessary money to achieve that. There have been several smart home innovations geared towards keeping pets happy, healthy and stimulated that showcase this trend – so what are they? One of the main concerns when leaving a pet at home during extreme weather is how they would fare in the sweltering heat or blisteringly cold. Heat especially can put your canine compadre at risk. Did you know that a dog is susceptible to a heat stroke when the heat index hits 105°F – a level that can be reached when the weather is actually as low as 90°F? In the past, pet owners would simply set the thermostat before they left for the day and hope for the best, disregarding rising temperatures and the inherent inconsistencies of many animal systems. But luckily for the more diligent pet owners, smart thermostats now enable you to tinker and toy with the temperature of your home in order to completely meet your pet’s needs. This is because your smart thermostat can be accessed by your smart phone, tablet, or computer regardless of where you are. Many smart thermostats are relatively inexpensive to purchase and install and offer energy savings for your home. Sometimes smart solutions are a complete no brainer; this is one of those cases! Another struggle with busy pet parents can be ensuring you get home in time for their dinner. 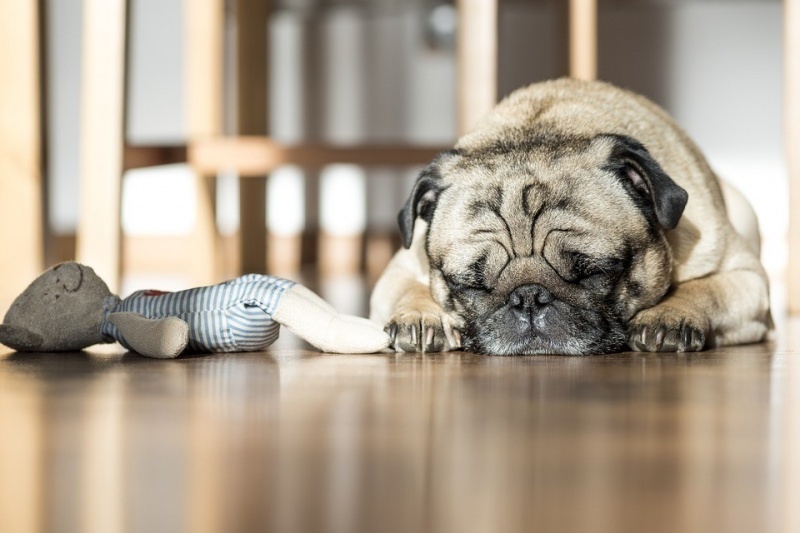 As pets thrive on routine, skipping or delaying feeding times can be to their detriment. However, smart technology is now enabling owners to make feeding time happen from afar. For example, the Petnet SmartFeeder is making waves due to its wealth of features, ease of use and low price tag. Not only can you dispense food from your smart phone, but you can also control how fast the food comes out of the feeder and into the bowl. This is helpful for dogs (and cats) who treat their mouths like vacuum cleaners, which in turn can lead to a dangerous amount of bloating. In fact, these smart feeders are so smart that they can also notify owners when the food supply is running low, as well as offer completely customizable scheduling options. A welcome innovation for when your plate is full but you want your pets’ to be too! Regardless of how well-trained your dog is, it’s simply not fair to force your pup to hold it in if you’re away from home for an extended period of time. Happily, smart home innovations have made it much simpler for your canine to go outside without fear of letting anything else in. This is due to the wave of smart dog doors that have entered the market. These smart solutions go beyond the traditional doggy-doors by using radio waves to let your dog in and out. This is accomplished by a simple key that attaches to your dog’s collar and alerts these devices to open and close accordingly. Now your dog can take care of business regardless of your situation. Above all else, you want your pet to be safe when you aren’t around. So how can smart security devices help you kick your worry to the curb? Further, a smart security system is important due to the fact that pet theft has increased each year since 2012. Many smart security solutions offer real time video feeds that can be accessed through any smart phone or computer at any given time. From temperature setting to feeding scheduling and all the way to motion sensors, there are a lot of new answers for your smart pet concerns, ensuring that tail will be wagging for years to come.